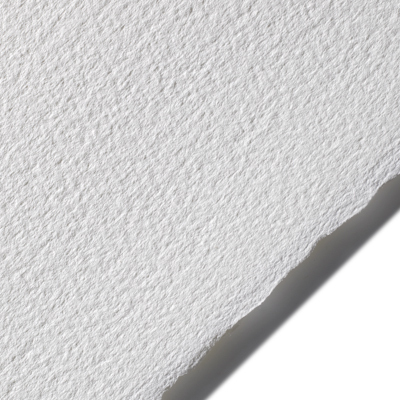 This 100% cotton watercolor paper has been the benchmark and standard that all other watercolor papers rival. 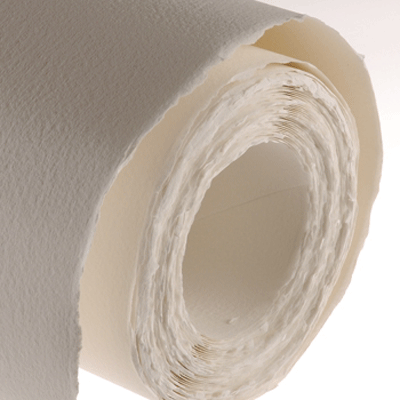 It is the only mould-made paper that is sized on the machine and then additionally has an extra hit of sizing in an off-the-machine size bath. It is considered a hard-sized sheet to those who use it and consequently will take an enormous amount of surface abuse. One can repeatedly rub-out, wash-out and re-work an area without fear of the paper's surface-fiber lifting off or pilling. Because of its great internal strength the paper can be soaked and stretched as desired. Printmakers who desire to use this paper for etching/intaglio take note: the extra-sizing process usually requires soaking overnight or possibly longer to prepare and soften the surface. First and foremost this paper was created with watercolor and all wet media applications in mind.